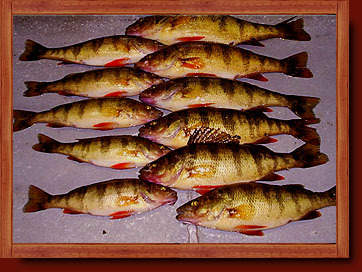 Perch are everywhere in Ivanhoe Lake. They are the main feeder fish for Walleye and Pike. They can be found down deep or in the shallows around weed beds. Due to the amount of weed cover and the extraordinary amount of food, our Perch grow to become what many people call Jumbo Perch. 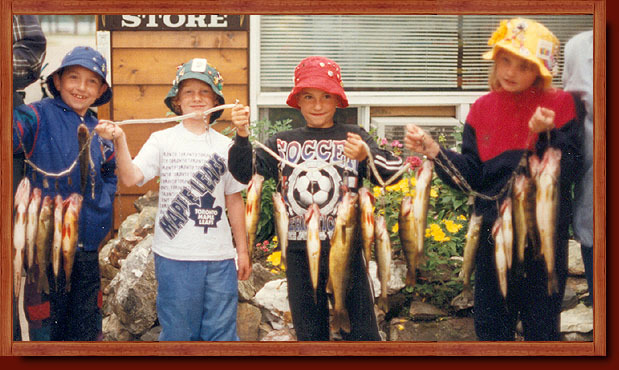 There is no limit for Perch so it's a great way to bring lots of fish home for the big fish fry.